PHOTO BY Rick Scibelli, Jr. / for The New York Times\nEDITOR: Becky\nSECTION: NATIONAL\nDATELINE: GALLUP\nDATE: Dec. 18, 19, 2006\nTRAX: 30034401A\n\nEarl Milford, 59, said that for more than 6 years he has been keeping track of his $1500.00 in monthly interest payments on his 16 outstanding payday loans with the help of his notebook. 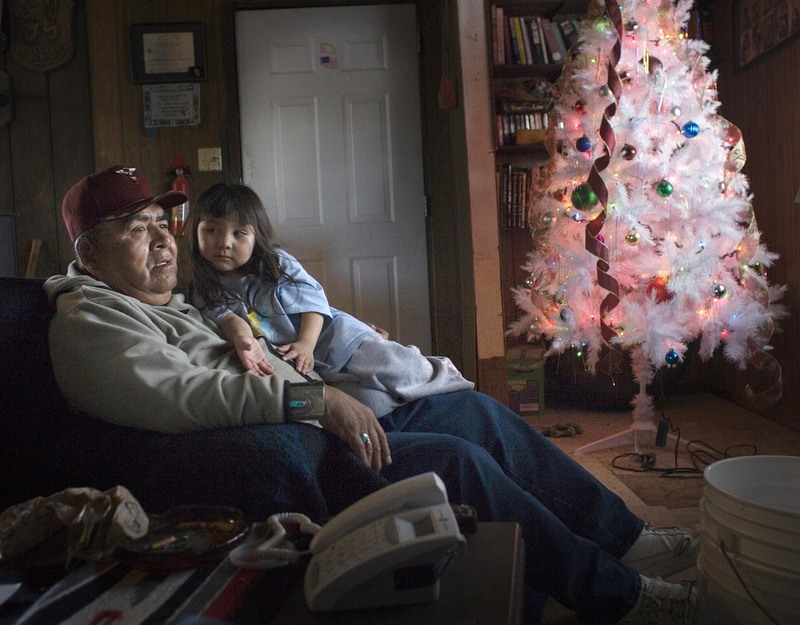 "It's like I am in a boat with one oar," said the retired Vietnam vet on Tuesday, Dec. 19, 2006 at his home in Fort Defiance, AZ. Despite packing interest rates that exceed 500 percent annually, payday loan stores have exploded in popularity across the country and no where are are they more prevalent than on the edge of the Navajo Nation in Gallup, NM where a lender can be found on almost every corner. "Do you see any presents under the tree?" he said.